Since 1989, ES Global has helped over 200 financial institutions, businesses, governments, multilateral agencies and development organizations in more than 60 countries, deliver lasting business and development value to shareholders, stakeholders and future generations. We are driven by a passionate commitment to helping our clients achieve profitable and sustainable businesses and development outcomes. Our services are guided by sharp market intelligence, a deep understanding of sustainable business practice and extensive hands-on enterprise management experience in transitional, emerging and developing countries. ES Global’s Sustainability and CSR practice focuses on measuring to maximize the returns, corporate value enhancement, and impacts of corporate CSR investments and activities. Our practice focuses on advisory and executive training on sustainability and CSR strategy and reporting. 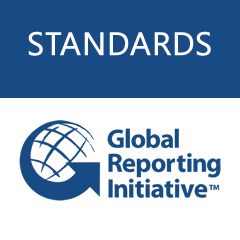 ES Global is proudly certified as GRI Certified Training Partner of the Global Reporting Initiative to train companies in the process of building a Sustainability Report in accordance with the principles, methodology and indicators developed by the GRI. We offer support in supply chain management, provide sustainability country and sector analysis and other research activities. We also have extensive experience in socially responsible investment, particularly in environment and social governance measurement and management. Read more on our CSR and Sustainability Clear and Simple products and services. ES Global Inclusive Finance Practice provide services to micro and small business financial institutions, to businesses directly, and to development organizations supporting the MSME sector development projects in both urban and rural areas around the world. ES Global has operated international, national and sector programmes to develop capacity in inclusive finance at the client, microfinance institution, government and multilateral levels. Our services range from product development and capacity building through to evaluation and research. Read more on our MSME Services. In this complex world, leading organizations realize that to prosper, a company must not only transform its own business model toward sustainability, but also collaborate with partners across the economic and social spectrum and ecosystem. Dialogue and collaboration bring innovation and systems change to address barrier and challenges and offer the opportunity for new forms of interaction within organizations and across industries and multi-stakeholder efforts. ES Global’s local economic development practice works with clients dedicated to creating sustainable development projects – from livelihoods and microfinance to value chains and small business support, to rural development finance and more. We support communities, NGOs, corporations and public agencies to leverage their work for greater profitability, more job creation and better local economic development. Read more on our LED Services.